We had a chance to visit the Carnegie Museum of Natural History this weekend. 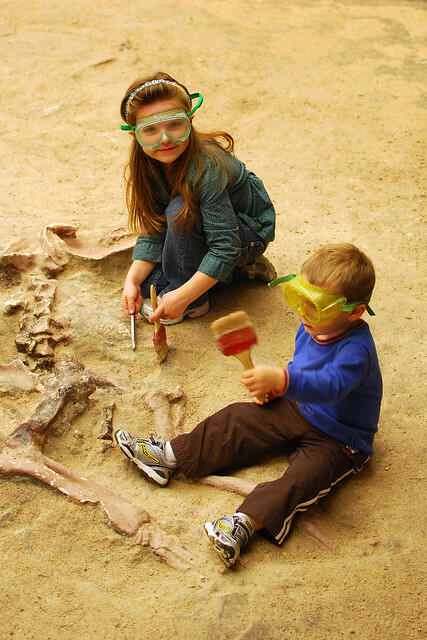 Evy and Brandon became paleontologists for the day. In addition to the fossil excavation and dinosaur bones exploration, they were able to touch a mastodon tooth and explore the M is for Museum hands-on exhibit for kids. Did you know that the Carnegie Museum has the largest collection of Jurassic dinosaurs in the world? And the most complete Tyrannosaurus Rex skeleton that exists? More museum pictures are on Flickr.